Amen! I was like that. I took things personally & became angry & wanted to hurt someone. I don’t like admitting that but it burns in you. It’s not something that you have to psych yourself up to do, it’s just a switch that goes off lmao. Leave it to dled to use the jimmy johnson trade chart, which was made in the early 90s and in a prior cba before the rookie wages changed. It’s much less steep if you look at others that have been updated, ones like Chase Stuart’s, which is closer to what teams actually use nowadays. I really think it’s simply individual irresponsibility. Just immaturity & not paying attention to details in ones personal life. As simple as reading your mail, paying your bills on time, keeping records & putting reminders on your calendar/phone etc... I mean to think he was arrested is amazing to me because I am certain there were alerts & reminders for him. He just ignored his responsibilities pretty much. Exactly. Lesson learned for the kid. NO TRADE UP!!! ...but if we did, I'd rather it be for QW. Oliver is far more raw than people are noticing and the hype of measurables and flashy highlight reel is inflating his stock. Many do. I have home offices my entire career. But for me, that is not a solution for this serious traffic problem. It’s a borderline emergency imho. And the state of Ga needs to address it as such or it will become more of a disaster. Not interested in winning an argument. 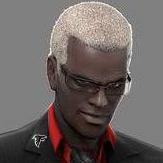 I’m here to educate you guys on the fact the Saints are superior to the Falcons. Look it up brother .... Saints have owned this rivalry for the past 50 years. Falcons dominated 1967-1973. Saints are the superior team. And have been for a half century. "I can't believe a billion dollar corporation would lie to me." House Speaker Nancy Pelosi, D-Calif., is scheduled to hold a private conference call Monday with fellow Democrats in which the topic of the potential impeachment of President Trump will be raised. Please please just do it, come on, do it. Whiskey and honking off. Happy Easter everyone. They recently made them available for trade. The moment you realize your back and forth is pointless: (when the other says) “That 2016 team wasn't nearly as good as the record stated.” I mean, 12 and 4 grows on trees in the NFL, Right? Gruden is a crazy person. Can we just call this "Spring Halloween"? How to, destroy an NFL Franchise, by Mike Mayock.